Bowling Green faces an early-season showdown this weekend. The Falcons host Minnesota State in a Western Collegiate Hockey Association series Friday and Saturday in the Ice Arena. Faceoff is 7:07 both nights. The Falcons are 4-1-1 overall and 2-0 in the league. They believe they’ll contend for the WCHA championship after finishing fourth in the coaches poll. BG tied for third in the league last season. MSU (4-2, 2-0) was the coaches pick to win the league. The Mavericks return many of the key players from last season when they won the WCHA playoff title. Bergeron added the series is important because the Falcons are at home for the first time since a 3-2 win over Miami. That game was played with BG’s students on fall break. BG has played at Alabama-Huntsville and Clarkson the last two weekends. “We’re really excited about that,” Bergeron said of playing at home. The Mavericks are coming off a 3-1, 4-1 home sweep of UAH. “What we have is a top 10 team in the nation,” Bergeron said of MSU. “They have depth at all three positions. 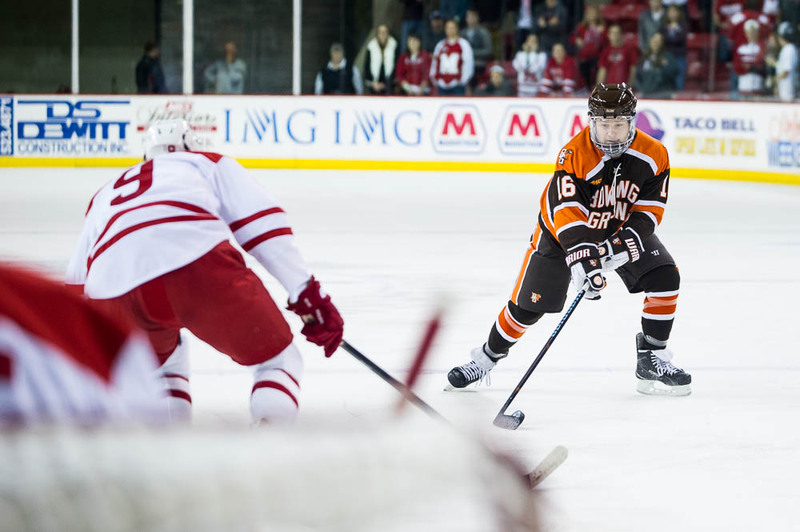 WCHA: The MSU series is the first of back-to-back tests for BG in the WCHA. The Falcons visit No. 16 Alaska (5-1, 0-0) Nov. 7-8. SERIES: Bergeron believes BG and MSU are developing a rivalry after meeting five times last season in the reconfigured WCHA. The teams split both of their series during the 2013-14 regular season. 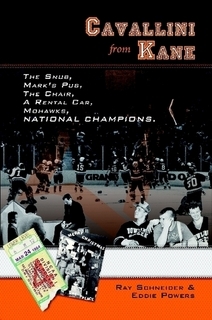 All four games were decided by one goal, with three going to overtime. Both series were played in a three-week stretch of November. MSU then posted a 4-0 win over BG in the WCHA semifinals in Grand, Rapids, Mich.
MSU is 6-2-1 all-time against BG, including a 2-1-1 record in the Ice Arena. POTENT OFFENSE: Like the Falcons, MSU has plenty of offense. The Mavericks are scoring 3.5 goals per game. “We’re expecting to see a high-powered offense, a group that has a bunch of skill,” Bergeron said. Senior defenseman Zach Palmquist leads MSU in scoring with eight points, totaling three goals and five assists in six games. Junior forward Bryce Gervais has two goals and four assists, and senior forward Matt Leitner has six assists. Leitner and Palmquist were first-team all-league picks last season. SOLID DEFENSE: While MSU has a potent offense, BG has been solid defensively. The Falcons are tied for eighth nationally in goals allowed, just 2.0 per game. “We have to control time and space.” Bergeron said of how the Falcons will try to defend MSU. “The best players want time and they want space, and we want to give them none. The Falcons are allowing just 25.7 shots per game. “There’s always some concern that if you get caught in between, these guys can make you look silly. That’s how skilled they are,” Bergeron said. GOALIES: Junior Stephon Williams and sophomore Cole Huggins have split time in goal. Williams is 4-0 with a 1.56 goals-against average and a .920 save percentage. Huggins is 0-2 with a 4.70 goals-against and a .762 save percentage. Williams started both games against Alabama-Huntsville last weekend. Williams and Huggins are the last two WCHA goalies of the year, Huggins last season and Williams in 2012. STATS: BG defenseman Nolan Valleau and forward Brandon Hawkins are tied for sixth nationally in points per game by a freshman. Each has six points in six games. Hawkins has two goals and four assists, and Valleau has six assists. Valleau is tied for 12th in points per game by a defenseman.